There would never be enough money for the State to buy land for all previously disadvantaged individuals. That came to the attention of the Portfolio Committee on Agriculture, Forestry and Fisheries during the discussion session when the Auditor-General of SA (AGSA), Department of Agriculture, Forestry and Fisheries (DAFF) and Department of Planning, Monitoring and Evaluation (DPME) tabled the Annual Report of the Department for the 2016/17 financial year. The DPME reported on the slow pace of acquisition and allocation of strategically located land to increase the percentage of land ownership by previously disadvantaged individuals (PDIs). The 2019 target to allocate 2 million hectares to PDIs was unlikely to be achieved. The DPME stated that few households worked the land. Only 14.8% of South African households were involved in agricultural production. Most crop production took place in backyard gardens, despite the sector’s contribution to the economy and food security. The DPME indicated there were areas of concern even though the performance on the number of smallholder producers receiving support had been rated green and positive by AGSA. It stated the drought was severe and recovery from the drought would take more than one season. That was especially true for the livestock sector, where herd numbers would have to be rebuilt and a recovery in pasture quality would take time. The situation in the Western Cape remained dire with major long-term impacts due to severe restrictions on the availability of water for irrigation of high-value crops. Then AGSA informed the Committee that there had been stagnation in the overall audit outcomes for the portfolio over the past three years. Two auditees had regressed. The Agricultural Research Council had obtained a qualified opinion on property plant and equipment, receivables from exchange transactions and payables from exchange transactions. The Onderstepoort Biological Products had received an unqualified opinion with material findings on compliance with legislation which related to material adjustments on the financial statements. The Department of Agriculture, Forestry and Fisheries, Ncera Farms and the Marine Living Resources Fund had remained stagnant with an unqualified opinion with findings. AGSA had identified regression in the financial health. The ARC was in an unfavourable financial viability position with its debtors’ collection period being around 169 days. Current liabilities exceeded current liquid assets. The Department informed the Committee that it had managed to achieve 80% of its set annual targets, and it had received an unqualified audit report on financial statements for 2016/17. The Department had received a qualification only on the Trade Promotion and Market Access Programme. The Department updated the Committee on the transfer of the Ncera Farm and Financial Assistance Land (FALA) to the Agricultural Research Council and confirmed that all the Ncera employees would be placed at the Council, except for the CFO and CEO who would be absorbed in the Department. The Department was in the process of transferring FALA properties to the Department of Rural Development and Land Reform because land administration was the constitutional mandate of DRDLR. Members of the Committee wanted to know from AGSA where the problems were within the Department because it appeared not to be moving towards an unqualified audit and remarked that the Marine Living Resources Fund was not getting any better. It was becoming a problem child. Members remarked that the presentation by the Department of Planning, Monitoring and Evaluation had focused extensively on agriculture and nothing had been mentioned regarding forestry and fisheries. They wanted to know whether there had been changes in the ownership of land because the presentation had not mentioned that the government had no means to buy land and give ownership to previously disadvantaged individuals. Members asked what the position was in respect of the goal to ensure that 30% of rural households were producing some food by 2014-2019. Clarity was requested on the fishing rights allocation and on the R3 million legal costs for court cases and the R60 million that the Fisheries Division had lost in abalone in those cases. The Minister of Agriculture, Forestry and Fisheries, Mr Senzeni Zokwana, was in attendance for part of the meeting. The Minister was requested to tell the Committee where the problems were so that it could offer help because the Department developed action plans, yet every year the AGSA reported stagnation. The Committee asked for an update on the small-scale fisheries and asked whether the basket was full or empty. Mr Godfrey Diale, Senior Manager, AGSA, informed the Committee there had been stagnation in the overall audit outcomes for the portfolio over the past three years. Two auditees had regressed. The Agricultural Research Council (ARC) had obtained a qualified opinion on property plant and equipment, receivables from exchange transactions and payables from exchange transactions. The Onderstepoort Biological Products (OBP) had received an unqualified opinion with material findings on compliance with legislation which related to material adjustments on the financial statements. The Department of Agriculture, Forestry and Fisheries (DAFF), Ncera Farms and Marine Living Resources Fund (MLRF) had remained stagnant with an unqualified opinion with findings. Overall, there had been an increase from prior years in a number of findings relating to compliance with key legislations within the portfolio. Those findings related to material adjustments on the financial statements, procurement and contract management, non-prevention of irregular expenditure, revenue management, human resource management, budget, and expenditure management. The Ncera farms had not had an audit committee for the past three years, despite an audit Committee being required by the PFMA. The quality of the annual performance reports submitted for auditing had remained unchanged from the previous year. That was due to sustained internal controls on the preparation of the performance reports. DAFF had submitted an annual performance report for auditing that had contained material misstatement which management subsequently amended. Findings on the usefulness of the reported performance information of DAFF were still raised due to targets not being specific in one of the programmes. Mr Diale identified regression in the financial health. Regarding DAFF, payables and accruals were not recognised and those exceeding the payment term of 30 days amounted to R165 million. That amount exceeded the R24 million to be surrendered by R141 million. The amount of R141 million could, therefore, have been paid in a timely manner. The ARC was in an unfavourable financial viability position. Its debtors’ collection period was about 169 days. Current liabilities exceeded current liquid assets. Overspending on administration was due to Operation Phakisa, Ministerial Stakeholder Engagement and Property Management. With regard to food security, although 99% of the budget had been spent, the desired targets were not achieved for household beneficiaries and cultivation of land reform projects, while other initiatives were fairly over-achieved. The monitoring of food security grants was below the desired rates. The Department agreed that it was not properly resourced to adequately monitor all food security initiatives. AGSA reported there was inadequate coordination of reporting for those initiatives between the Department and provinces. So, not all the information from the provinces was credible and that had affected the achievement of targets. Mr Diale reported the most common findings on supply chain management were around three written quotations not being invited, competitive bidding not invited, declaration of interest not invited, suppliers’ tax affairs not in order, and inadequate contract performance measures and monitoring. No auditees had findings on non-compliance with legislation on consequence management. Dr Tsakani Ngomane, Outcome Facilitator, DPME, took the Committee through the priorities and impact indicators for comprehensive rural development and food security. Those were areas where the government had made commitments for completion by 2019. The impact indicators were the increasing the percentage of ownership of productive land by previously disadvantaged individuals (PDIs) by 9.5% or 7.83m ha; reducing by 1 million hectares, the underutilised land transferred to PDIs; reducing the percentage of households vulnerable to hunger from 11.4% to 9.5%, and reducing the rural unemployment rate from 49.4% to 40%. Dr Ngomane reported that land redistribution has been slowing down, particularly from 2014 onwards. In the Medium Term Strategic Framework 2014 – 2019, the government had recommitted to the priorities aimed at achieving sustainable land reform contributing to agrarian transformation, and improved food security, smallholder development and support for agrarian transformation. To further advance agrarian reform, the smallholder sector would be strengthened, increasing the number of smallholder farmers by 50 000, and ensuring 30% of rural households were producing some food by 2014. The general pace of acquisition and allocation of strategically located land to increase the percentage of land ownership by the PDIs was slow. As at 30 June 2017, only 812 307 hectares (40.6%), of the targeted 2 million ha of land, had been acquired and allocated since 2014. About 441 534 hectares (44% of the 1 million ha) were allocated to smallholders, while 100 042 hectares (50% of 200 000 ha) had been allocated to farm workers and dwellers. The 2019 target to allocate 2 million hectares to the PDIs was unlikely to be achieved. She stated that few households worked the land. Only 14.8% of South African households were involved in agricultural production. Most crop production took place in backyard gardens. This was so despite the sector’s contribution to the economy and food security. Only 11.1% of households involved in agriculture, reported getting agricultural-related support from government. Significant support was provided for farming households in KZN (16%), Eastern Cape (21.7%), and Northern Cape (21, 1%). A total of 1 125 524 ha of land was cultivated. However, land cultivated under RECAP was declining due to the uncertainty around the transfer of the function from the Department of Rural Development and Land Redistribution (DRDLR) to DAFF. The issue was receiving attention. Only 2, 2% of households reported receiving production training, while 7% reportedly received livestock vaccination services. Dr Ngomane pointed out there were power dynamics in land redistribution. The State's purchase of land meant that budgets could be spent and land acquired without any redistribution of land rights taking place. RECAP funds often benefit commercial strategic partners. Land Redistribution was governed by state officials, consultants and agribusiness ‘strategic partners’ concerned with surveillance and control of ‘beneficiaries’ in ‘projects’ with precarious tenure on commercial farms which were owned by the state. While the state was playing a more interventionist role by purchasing land itself, it was not challenging the supremacy of private property, but rather becoming a significant player in the land market. While land reform was a ‘national competency’ implemented by the DRDLR, Agriculture was a concurrent competency, with the provincial departments responsible for implementing farmer support. That dynamic was a major contributor to fragmentation and variations in farmer support programmes. She maintained that the percentage of households vulnerable to hunger was at 13.4% in 2016 compared with the 29.3% of 2002. Though it had improved over the past 15 years, vulnerability to hunger had increased by 2% over the past 5 years, from 11.4% in 2011 to 13.4% in 2016. The Household Food Insecurity Access Scale, aimed at determining households’ access to food, indicated that the percentage of households with inadequate or severely inadequate access to food decreased from 23.9% in 2010 to 22.3% in 2016. This was largely due to the social grant enabling the purchase of food rather than food production initiatives. The National Food and Nutrition Security Plan was meant to intensify efforts to reduce vulnerability of individuals with limited access through improved information management, appropriate policies and targeted interventions across government, private sector and community based organisations. The process of costing activities of the plan was currently under way. The finalisation and implementation of the National Plan of Food and Nutrition Security in an integrated manner was essential and urgent. Pertaining to smallholder producers’ development and support for agrarian transformation, she reported there were areas of concern, even though the performance on a number of smallholder producers receiving support was rated as positive. She said that recovery from the drought would take more than one season. That was especially true for the livestock sector, where herd numbers would have to be rebuilt and a recovery in pasture quality would take time. The situation in the Western Cape remained dire with major long-term impacts due to severe restrictions on the availability of water for irrigation of high-value crops. Other actions to increase the number of hectares under irrigation had not been fully reported. Dr Ngomane informed the Committee about the DAFF Management Performance Assessment Tool (MPAT) results from 2014 to 2016. According to General MPAT 1 to 6 observations, the Department was commended for its incremental progress in Financial and Strategic Management Key Performance Areas (KPAs). Although Governance and Accountability had shown improvement from 2015 to 2016, the KPA average scores regressed in 2016. There was a sharp regression in fraud prevention, corporate governance of ICT, Promotion of Access to Information Act (PAIA) and the Promotion to the Access of Justice Act (PAJA). Measures needed to be put in place to ensure compliance with prescripts and policies and to ensure that systems and processes were in place to guard against regression. The Human Resource Management KPA still performed below the compliance level, but there were positive signs for improvement in the future. The Department needed to put measures in place to ensure improvements in that area. The Department was compliant with policies in Human Resource Planning, Organisational Design, Human Resource Development, Recruitment, and PSA Delegations. However, the Department was consistently non-compliant in the following areas: Management structures, Employees Health and Wellness, Level 1-12 Performance Management Development System (PMDS), Senior Management Service PMDS, PMDS for the Head of Department, and disciplinary cases. The Department needed to put measures in place to ensure improvements in those areas. She noted that the DPME was in process of developing guidelines for purposes of assessing the performance of SOEs, independently. They played a vital role in support of the Department and performance in Outcomes 4 and 7. However, the current assessment of DAFF presumably included the contributions by those entities. Though DAFF had embarked on some strategies aimed at stimulating production by smallholders, DAFF’s programmes were not having significant impact on key indicators. The causes of the problem appeared to include weak relationships between government and the industry, and high senior management vacancy levels. In her conclusion, Dr Ngomane stated that a greater effort was needed to improve performance towards the MTSF 2019 targets so as to ensure reasonable achievement on land reform for agrarian transformation, on food and nutrition security, and on rural enterprises development. The 3-feet plan of Operation Phakisa on Agriculture, Land Reform and Rural Development should be implemented. Mr Robert Ramasodi, Acting Director-General, DAFF, informed the Committee that the Department had managed to achieve 80% of its set annual targets, and it had received an unqualified audit report on the financial statements for 2016/17. The audit matrix had been developed to address the audit findings of the year under review. The Department had received a qualification only on the Trade Promotion and Market Access Programme. The audit matrix for the 2016/17 audit findings had been compiled with the aim of addressing the audit findings and internal control deficiencies. It made it compulsory for all DDGs to attend the Audit Steering Committee meetings scheduled during the audit period (2016/17) and to sign off all audit findings. A compliance register had been introduced to monitor compliance to monthly reporting for continuous tracking of performance information. 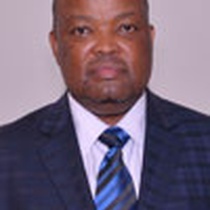 The branch Policy, Planning and Monitoring and Evaluation had facilitated branch engagements with AGSA to ensure open communication between DAFF and AGSA regarding the management of predetermined objectives with the aim of eliminating any possible ambiguity and misunderstanding with the intention of obtaining positive audit outcomes. Mr Ramasodi took the Committee through the performance highlights against annual targets. On governance and administration, he reported the Strategic Risk register at branch level and the Risk Management Strategy for 2017/18 had been reviewed and were ready for implementation. Those documents ensured effective implementation of risk management processes. The Quarterly HR plan implementation report had been developed to guide and assist the Department to set out how to identify skills, address supply and demand issues, and attract, develop and nurture the workforce so as to be responsive to service delivery challenges. The Policy on Comprehensive Producer Development Support had been approved by the Director-General on 27 March 2017. The MPAT 2016 challenge phase which had closed on 10 February 2017 indicated a slight improvement in most of the Key Performance Areas. DAFF had developed improvement plans per KPA to address the variances. Regarding access to markets for smallholders, 18 farms were certified through South Africa Good Agricultural Practices (SA-GAP) to enable market access. The SA-GAP certification programme aimed to improve participation of smallholder producers in the mainstream agricultural economy by ensuring compliance to the minimum food safety and quality standards required by commercial mainstream market products. An annual report on the SA-GAP Certification Programme had been compiled. Concerning plant production, health and food safety, he stated that exotic fruit flies had not been detected in the Northern, Eastern and Western Cape. One specimen had been detected and confirmed in the Free State and a delimiting survey would be conducted. The National Plan for Conservation and Sustainable Use of Plant Genetic Resources had been approved. Planned surveillances were conducted on two animal diseases, namely: Foot and Mouth Diseases and Peste des Petits Ruminants (PPR), and an annual report had been compiled. The Climate Change Mitigation and Adaptation Plan had been implemented through vulnerability mapping for conventional farming systems and the report on implementation had been compiled. Mr Ramasodi, from Forestry and Land Rehabilitation, reported that the Draft Forestry Grant Fund Framework had been developed. A project to support the revitalisation of irrigation schemes had been implemented. The scheme focused on the upgrading and development of the infrastructure to maximise the economic feasibility of the scheme. The Agro-forestry Strategy Framework had been approved. The draft management model for state-owned forests had been developed. In terms of fisheries management, a progress report on the continuous conditioning of brood stock had been compiled. The conditioning of brood stock was based on two new research studies on genetics and nutrition for aquaculture species. Broodstock was a parent stock used for breeding. Permit conditions had been reviewed, and permits and licenses had been issued in the six fishing sectors. Mr Ramasodi also talked about challenges affecting performance. To deal with systematic delays affecting completeness at initial targeted period and the Integrated Development Finance Framework had been implemented. The document was undergoing approval processes and the policy would be approved during the 2017/18 financial year as recommended by the Committee. 130 veterinary graduates had been deployed to resource-poor communities. The shortfall of three would be counteracted by requests from foreign graduates to participate in the Compulsory Community Service. Despite budget constraints, 32 primary animal health care clinics were delivered to provinces. The three remaining primary animal health care clinics were delivered in the first quarter of 2017/18 financial year. Pertaining to misaligned reporting timeframes between DAFF and PDAs, the Review of the Strategic Plan and Annual Performance Plan Framework by DPME to align the reporting timeframes had been initiated as that was affecting those benefiting from food production initiatives. Mr Bonga Msomi, Chief Director: National Extension Support Services, DAFF, touched on the Ncera background, progress on its transfer to ARC, and way forward on outstanding matters. He informed the Committee that Ncera comprised two areas – the centre and the farms surrounding the centre. The training centre was registered as a government business entity on 1000 hectares of land to provide agricultural extension and mechanisation services, tractor maintenance and basic agricultural courses, and breeding of Nguni type cattle and goats. The FALA farms were made up of 13 properties, consisting of 10 economic units. A total of 10 farms – nine individuals and 1 cooperative – had been selected and settled on those portions through Permission to Occupy (PTO) letters that had been reviewed in August 2016. The normal procedure as per State Land Disposal Policy was followed in the allocations of the advertised Ncera policies to the land and agrarian reform beneficiaries. The Minister had made numerous visits to the farm between 20 January 2015 and 12 July 2016. As far as progress on the Ncera transfer to ARC was concerned, a study had discovered that the conditions of service at ARC were at a higher level than those of Ncera Farms. Another matter that came to the fore was that the entity was non-compliant with the requirements of the Department of Labour’s Basic Conditions of Employment Act, 75 of 1997. The ARC confirmed that all the Ncera employees would be placed at the ARC, but it did not have vacancies for the CFO and CEO. It was agreed that it was the responsibility of DAFF to absorb the Ncera CEO and CFO within the Department. The Ncera employees were consulted by DAFF on June 2017 and showed an interest in moving to the ARC. Comparisons were made between all the other employees and salaries were to be adjusted as per the Labour requirements. The salaries of Ncera employees were lower than employees of the ARC. The budget for the salary adjustment for the Ncera employees would be derived from the current Ncera budget allocation which amounted to R6.2 million, part of which had been for the CFO and CEO salaries. A total budget of R6.2 million would be transferred to the ARC. The ARC would inform the Ncera employees about salaries and benefits. Regarding assets, the verification of movable and immovable assets had been done at Ncera by members of the ARC and DAFF. The ARC had undertaken an evaluation of the property through Private Valour for purpose of accounting. The ARC would undertake verification before the transfer which was targeted for December 2017. During September 2017, the ARC had consulted with Ncera employees about salary packages and the Board member, Ms Nokuvela Ngubelanga, was informed about the Ncera transfer to the ARC and deregistration of the entity. She had acknowledged the information and indicated she would await further update from DAFF regarding the progress. Concerning the transfer of the FALA farms, Mr Msomi stated DAFF was in the process of transferring those properties to the DRDLR, of which Ncera was part, because land administration was the DRDLR’s constitutional mandate. There had been land invasions on those farms, and the current farmers had experienced serious losses due to theft of their livestock. Because of theft, of the ten farmers allocated farms at Ncera, only three continued to engage in agricultural activities. DAFF was currently engaging partners on the invasions, such as the DRDLR, the Councillor for Health and Public Safety, Buffalo City Metropolitan Municipality, and Law Enforcement Acting Head for Department of Public Works. Finally, Mr Msomi stated that the final Ncera Centre consultation with the Employees of DAFF and ARC would be on 26 October 2017. The placement of the CFO and CEO would happen in January 2018 after the signing of the MOA which was to be signed during December 2017. During February 2018, the transfer would be finalised with National Treasury, based on the signed MOA. Ms A Steyn (DA) wanted to know how AGSA dealt with issues of compliance where it found that things like fencing cost R1.4 million per hectare in provinces whereas it could cost far less, but someone had signed off the payment of millions. She also wanted to know how AGSA was going to intervene in the debt collection problems of ARC because the 169 days the entity took to collect debt from clients was unacceptable. Mr Eugene De Haan, Acting Business Executive: AGSA, explained when they were faced with things like fencing, they looked at compliance in terms of the process. They called in specialists to give an indication about the process. For example, they were hiring medical and education specialists to help identify value for money and how things worked. 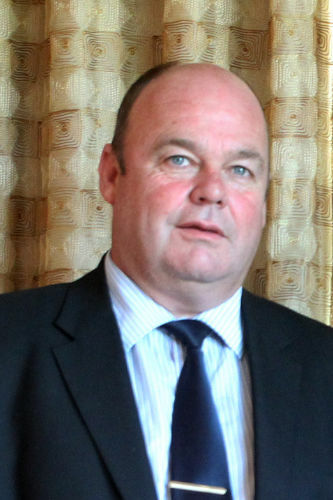 Mr Diale stated that the ARC records were inaccurate and that had led to disputes with their customers. They had submitted recommendations to improve the record management process. Mr N Paulsen (EFF) asked if AGSA intended to apply sanctions to those who were underperforming because the Department seemed to be a repeat offender, especially when it came to internal control processes. Mr De Haan stated they reported to the DG when it came to underperformance. If the DG did not act, AGSA approached the Minister. AGSA was looking at compliance on consequence management according to the rules of the PFMA. The accounting officer had to take action; AGSA only identified transgressions. Mr P Maloyi (ANC) asked if AGSA could tell the Committee where the problems were within the Department because it appeared not to be moving toward an unqualified level with no material findings. He wanted to establish whether it was a lack of capacity, laziness or deliberate reluctance not to correct things because every year AGSA reported to the Committee on the findings. AGSA appeared to be prepared to assist the Department because AGSA interacted with it quarterly. Mr De Haan indicated plans to interact with the DG or an accounting officer quarterly were in place in order to give the DG or accounting officer a feel of what was happening in the Department. Mr P Van Dalen (DA) wanted to establish who audited the work of the entities of the Department. He further wanted to know what could be done to stop the progression of regression because the amounts were getting bigger and bigger. He also remarked the Marine Living Resources Fund was not getting any better and was becoming a problem child. He went on to say that the Committee was supposed to get a report on corruption in the Fisheries Division, but it had disappeared. That was a matter of concern. Things were being swept under the carpet. The Chairperson said that nothing had been swept under the carpet. In Parliament, procedures had to be followed. The report was still on the agenda. Regarding the progression of regression, Mr De Haan, explained that AGSA was starting to look at consequence management. AGSA kept on reporting that no actions were taking place. He said there was a big drive to make consequence management happen and they were educating accounting officers about the impact of not implementing consequence management. On the audit of entities, Mr Diale stated they were audited by AGSA. The audit looked at the root cause of findings. He said the Department and its entities had good plans, but the findings told a different story. The Chairperson stated she was concerned about the stagnations of the Department. She wanted to establish what should be done by the Committee to help the Department fight regression. She noted that the quarterly reports sent to Treasury did not come to the Committee and the Committee had been unsuccessful in getting the reports. The Supply Chain Management problems were a common finding. Mr Diale explained that AGSA did not have reasons to conclude the stagnations were a deliberate reluctance to do the work. The main problem was effective monitoring. People were supposed to give evidence on the progress of assignments given. The Committee needed to hold the Department accountable by getting progress reports from the entities and the Department on steps taken to correct risks that AGSA had raised. The Committee could interact with AGSA on issues it had raised during the audit to see if they had been followed up by the entity or Department, that is, the implementation of the audit action plans. Mr Paulsen remarked the presentation had focused extensively on agriculture and nothing was mentioned of forestry and fisheries. He wanted to know if there had been changes in the ownership of the land because the presentation did not mention that the government had no means to buy the land and give ownership to previously disadvantaged individuals. He asked for clarity on financial management because MPAT saw improvement, but AGSA saw regression. Lastly, he indicated that on HR management, things were improving, but not in terms of what the AGSA indicated. With regard to forestry and fisheries, Dr Ngomane explained that when they had looked at the sector, the DPME had used the classification of agriculture as inclusive of the sector. Its contribution to the GDP was inclusive. Even with impact indicators, they had looked at the overall impact on society. The sub-analysis could look at the details of forestry and fisheries. That could also be done by the Department. The DPME focus was a high-level analysis. On land ownership by previously disadvantaged individuals, she stated there would never be enough money from the state to buy the land. What was important was to improve the utilisation of the land because that was where the deficiencies were. The previously disadvantaged owned 40.6 % of the land. Regarding contradictions between MPAT and AGSA reports, she said the contradictions were non-existent on HR management. The DPME pointed in detail the weakness areas. There were only methodological variations. The methodologies used were different. Concerning financial management, she indicated there were no differences between the DPME and AGSA. The issue was around compliance to processes that the AGSA had picked up and did not talk to value for money, which MPAT might emphasise. It was supposed to have been complementary. Ms Khanyisile Cele, Director at DPME, explained that MPAT used a different methodology to assess enablement of Departments to perform their KPAs. The HR Management had improved slightly, but not the management of compliance. Ms Steyn commented that the issue of land distribution appeared not to be working and the matter had been discussed with the Department of Rural Development and Land Reform. She also remarked that support to farmers and households needed to concentrate on provincial budgets. Hunger was rife in the provinces of KZN, Eastern and Northern Cape, yet they had spent most of their budgets. The Committee needed to see the budget per farmer. Maybe the budget was wrongly spent, making people perpetually dependent on the state. The budget was spent on easy things like infrastructure. The soft targets were difficult to do e.g. extension services, education, etc. There was a need to focus the budget on per farmer per province. The correlation between what was given and what the budget had been spent on was not clear. Dr Ngomane added that there was a lack of coherence between DAFF and DRDLR which had been raised many times. The two departments had different mandates but here were overlaps that should not be allowed, such as the implementation of executing mandates. Regarding the budget issue, she said that the per capita expenditure on farmer support should be requested from the Department. The budget allocation showed bias towards rural provinces like the Eastern Cape, Limpopo and KZN. That should be so because they were marginalised provinces. For example, during 2016/17 the estimate was higher for the Eastern Cape but had declined in 2017/18. There might be an increase in 2018/19. During 2016/17 farmers’ support in the Western Cape had increased. That could be attributed to drought, farmer development, etc. The budget breakdown per farmer could be requested from the Department. The Chairperson stated the Committee was happy to learn that government had escalated the issue of food security, but the progress did not make the Committee happy because it still had to be costed and already it was mid-term. The budget for food security had a deficit of R2 billion. She wanted to establish at what level the DPME was going to make the Department use the results of StatsSA on household support because StatsSA showed the areas where there were affected people. She remarked the country was not doing well on land reform and that was something the DPME had to look at, if they wanted to strengthen the economy. She further remarked the Department needed to finalise its comprehensive support to smallholders because they had to be developed to become commercial farmers. She said, for example, one would discover that provinces were given R100 million to develop 300 000 smallholders yet there were no norms and standards. She pointed out that one of the weaknesses of the Department was that it spoke sense when it presented, but when it had to produce documents, the story was different. Dr Ngomane indicated that the slow pace of progress in respect of the Food Security and Nutrition Plan was noted and would be taken as a feedback to the system. She explained there were delays on the implementation of the food security and nutrition plan. The approval for the plan had followed cabinet processes and the costing had happened at the end of last year. The costing had to be informed by an approved plan. When it had been presented to the DPME, it was discovered the plan was too ambitious. It was written as if there was no work to be done. It was sent back for revision and would be implemented within the current MTSF. Concerning the relationship on the means of collecting data between DAFF and StatsSA, she stated there was a disparity. StatsSA focused on commercial farmers in its census data whereas DAFF focused on smallholders. 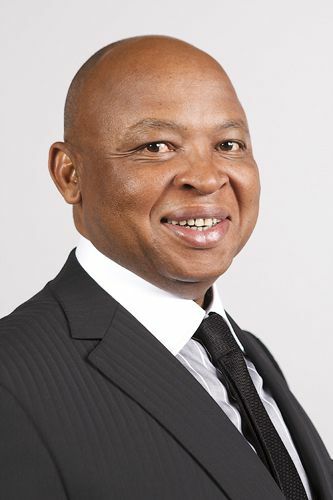 The DPME had noted the disparity and engaged with StatsSA. Regarding land reform, she said the slow progress would correlate with agriculture. The second impact indicator stated that the land should be utilised. In respect of developing smallholders, she indicated the Department needed to revise its targets on the number of smallholders to enter the commercial mainstream and review its Medium-Term Framework. She said Operation Phakisa stood a chance of escalating the development of smallholders to become commercial farmers. Mr L Ntshayisa (AIC) wanted to know what the current position was on ensuring that 30% of rural households were producing some food during the MTSF 2014-2019.Dr Ngomane stated food producing households stood at 49.7% as of the end of June 2017.Mr Van Dalen commented that the DPME had not mentioned anything about the Fisheries Division yet it had spent most of its budget and not achieved its targets. Dr Ngomane explained they had not done an independent assessment of public entities. The focus had been on the departments. It was only recently that it had been decided that the DPME should start assessing public entities. Mr Van Dalen asked about the two employees who had stolen money from the MLRF and if they were still with the Department. He also wanted to know what plans were in place to ensure that the irregular expenditure of R141 million would not happen again. He further pointed out that the Department had not achieved its target of 1.6 million households benefitting from food security and nutrition initiatives. Lastly, he asked for clarity on the fishing rights allocation and on the R3 million legal costs for court cases and the R60 million that the Fisheries Division had lost in these cases. Mr Joe Kgobokoe, DDG: Policy, Planning and Monitoring & Evaluation, DAFF, stated targets for households benefitting from food security had been overachieved. It was not a negative. Ms Siphokazi Ndudane, DDG: Fisheries, DAFF, explained that there were contingent liabilities regarding the money stolen by employees from the Norwegian Fund. The two employees had entered into a plea bargain with the Department. The Norwegian government was paying for all the expenses, including money to come back to SA to do practicals or experiential training. In 2009, officials had seen an opportunity to siphon money from the project. Those officials had resigned from the Department long before she (Ms Ndudane) had joined the Department. Concerning irregular expenditure, she reported the Department had not incurred irregular expenditure but had transferred money to SAMSA. The challenge was that the SAMSA contract to manage patrol and research vessels was only for one year. That was where the problem came in. It was then decided to extend the contract to three years. In the coming years there would be no findings on that. The main issue was the contract. Pertaining to money lost in court cases, she stated those cases related to abalone. The estimated legal costs were R3 million. The R60 million was the value of the 30 tons of the abalone tender that had been awarded illegally. The Department could have lost R60 million, had it not defended the case. The Department was going to recover the R3 million because it had won the case. She indicated that the Department had to appoint a company to oversee the allocation of the fishing rights. The decision was then taken to appoint the services of an auditing firm and to extend the process by three weeks. The appointed company was PriceWaterCoopers. Mr Maloyi stated that it was unacceptable for Mr Van Dalen to make false allegations against the Committee, by saying the Committee was responsible for sweeping the Hawks corruption report under the carpet. He said the Chairperson had addressed the issue of corruption and indicated that the matter was still on the agenda. He added that the engagement between the Executive and Committee on the Annual Report was an important one and it was a serious matter when a CFO was not part of the meeting. The Minister, DG, and CFO could not afford to miss such important meetings. AGSA had raised serious concerns with the Committee regarding the finances of the Department. It affected the work of the Committee for the Department to come without the CFO. He noted that the presentation was no different from the one presented in the last quarter. There was no movement forward. Issues raised in the audit action plans were not new. He asked the Minister to tell the Committee where the problems were so that it could offer help because the Department developed action plans, yet every year AGSA reported on stagnation. Lastly, he wanted to know if the MLRF was a stand-alone entity. The Chairperson said if Mr Van Dalen was benefitting from the song he was singing about corruption, he could continue to sing it because she would not allow herself to be distracted. The Minister stated he had noted the concerns Mr Maloyi had raised to ensure regressions were dealt with. He said they were not at liberty to explain what they were going to do regarding consequence management because there were processes to be followed and there were actions that had taken place. The Department wanted to follow labour relation practises. He noted that was not going to happen in three weeks. It was a process. He reported that they discovered that sometimes leadership stability did play a role. For example, Forestry leadership had been replaced. Mr Ramasodi stated that MLRF managed a fund for operations. The Fisheries Division received money from the Department. Mr S Mncwabe (NFP) wanted to establish whether the Department was training the cooperatives or just giving them money because there was an 88% failure rate of cooperatives in the country. He asked if the cooperatives had markets to sell their products to because they provided jobs to many families. He wanted to know the level up to which they had been trained. Lastly, he wanted to know why a programme that was not budgeted for, had been taken over and funded. Ms Zoliswa Lufele, Chief Director: Finance, DAFF, stated that the programme not budgeted for had to do with the Operation Phakisa project between DAFF and DRDLR. The Minister stated that the Department would provide training to cooperatives in different provinces. DAFF had signed an MOU with Tiger Brands. Cooperatives had to meet the standard set by the companies they had signed MOUs with. That was where the training came in, and the Department was trying to coordinate all the areas that had been identified as critical. Mr Ramasodi added that the Department was in contact with the industry it was working with. They had consulted with the industry on issues of job losses, food security, bio-security, water and sanitation, disasters, etc. Ms Steyn wanted to know if there had been any discussions with COGTA regarding the declaration of drought. She also wanted to know if the 120 000 hectares of underutilised land in communal areas and land reform projects cultivated for production [in slide 18] were part of the 1.8 million hectares of unutilised land under production [in slide 12]. She also asked how far the Department was on vaccination because hens were dying, and if the breeding stock was dying, the country was going to be in a crisis.The Minister, reported that they were dealing with drought as if there had been no interventions. COGTA took time to do things. Three provinces had been affected - Eastern, Northern and Western Cape. There was a need to engage and to find ways of dealing with disaster management. In response to Ms Steyn’s question on the differences between slide 12 and 18, Mr J Kgobokoe, stated that slide 12 focused on the MTSF period. It dealt with targets set. 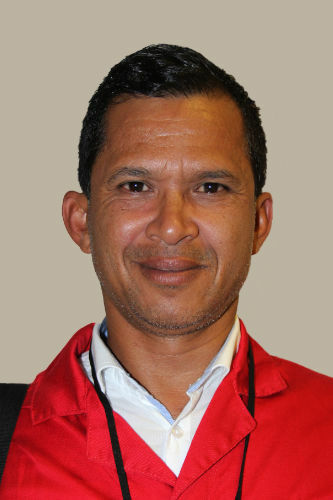 It was not DAFF's responsibility to achieve targets. There were other departments that contributed to the achievement of the set targets. The contributions from other departments brought improvements in food security and other programmes. Slide 18 that dealt with 120 000 hectares of underutilised land dealt specifically with DAFF and Provincial Departments of Agriculture targets. Dr Modisane, Chief Director for Animal Production and Health: DAFF, reported that the Department was currently in discussion with the poultry industry about vaccination, and actions were taking place. 15 years ago, the country had experienced a similar bird flu. Unfortunately, they had not been able to control the flu. If they decided to go the vaccination route, they had to look at the way the country produced its own chickens and look at the exit strategy. That meant the producers had to increase their bio-security and agree on a strategy to be followed in fighting the flu. DAFF needed R3 billion to compensate the producers, but the Department had only R14 million. DAFF was going to ask for additional funds from Treasury. The Chairperson asked for clarity on the money DAFF had sent back to Treasury because DAFF said it did not have money, yet it could have adjusted the budget. Secondly, she wanted an update on the small-scale fisheries and asked if the basket was full or empty. Thirdly, she wanted to establish how far the MLRF was in terms of capacitating the research area. Fourthly, she wanted to find out why the bird flu was escalating and what the impact of the escalation would be. Ms Ndudane reported the basket was neither full nor empty because they were dealing with cooperatives that were growing and a product that was moving. The basket had 17 areas for seaweed. It would never get full. They were looking at some economic alternatives to augment the other existing activities. The allocations for fishing rights had been done in 2013 and those rights that had not been used had been taken back to the basket. Currently, they were finalising the registration of small-scale fishery cooperatives in the Northern Cape. The process has been delayed in the Western Cape. Regarding research, she stated they had not extended the contract of the professor who had been doing research for them. They had decided to work with the University of Johannesburg and a collaboration programme that involved an exchange of scientists between Namibia and South Africa, while other researchers would be trained in Norway. Ms Lufele indicated the challenge regarding moving funds related to Treasury regulations. When funds had not been used for a specific project, those funds could not be used for something else. Those affected projects had to do with the Public Works Department that was taking its time on the work it had to do for the DPME. She further noted that DAFF had recorded improvements in the Supply Chain Management, but it still needed further improvement. The number of incidents contributing to irregular expenditure over the past years had been decreasing. The supplier database had been centralised and there were improvements in internal controls. Dr Modisane reported there had been 78 outbreaks in 8 out of 9 provinces. The Northern Cape had not been affected. 1000 jobs had been lost and 42 million chickens had died. The outbreak was affecting the breeders. It was a question of bio-security. The disease was brought by migratory birds that travelled the world. They went where the temperatures were favourable and there was plenty of food and water. Poultry farmers had been advised to increase their bio-security. Mr Van Dalen pointed out he was concerned about the quality of the presented document and the mistakes contained in it. He wanted to know who was responsible for quality control. Mr Ramasodi said there are gremlins that crept in now and again. It was not a deliberate act from DAFF’s side. The figures had been correlated in terms of outcomes and what had been reported to DAFF. Mr Maloyi made a couple of suggestions. Firstly, he suggested the implementation of the audit action plans should be made part of the Director-General’s performance agreements. Secondly, the monitoring and evaluation unit should be restructured to effectively monitor the use of conditional grants. Thirdly, Treasury had to look at increasing the budget of the Department because it was technically insolvent. Fourthly, the MLRF Act should be revised. The appointment of relevant officers should be done as quickly as possible. Fifthly, the Ncera Farm had been discussed for many years. There was a need to wrap up everything that had to do with Ncera speedily because the delays meant somebody was not doing his or her work. Lastly, he wanted to find out where the MLRF accounted for the use of funds for Operation Phakisa that it had received from the DEA for implementing Operation Phakisa. Ms Ndudane stated the MLRF had received R6.5 million for the current year. The amount was reflected in the annual report. The previous year and the year before, the MLRF had received R7 million and R13 million, respectively. The Chairperson wanted to find out why, when the Committee had questioned the targets set in the APP of Programme 4 (Trade and Market Access), it was told the targets could not be disclosed for security purposes. She also commented that the Department should consider making use of extension officers to update the Department on daily issues affecting the programmes, instead of relying on provincial departments. Finally, she remarked that she did not agree with the idea that provincial departments were the problem when it came to norms and standards. It was the National Department that was not providing good leadership. Mr Ramasodi indicated there should not be secrets when the country was negotiating a deal concerning Trade and Market Access. It was a matter that was inexcusable. He further stated that he agreed with Mr Maloyi’s idea the audit matrix should be part and parcel of the responsibilities of senior management. He noted also there was money set aside to do monitoring and evaluation. Soon they would be coming to the Committee to report on monitoring and evaluation, but the issue was still being discussed internally. The Minister stated that if a presentation had made a member uncomfortable, it was unfortunate. The Department and the Committee had to debate the transformation of the industry. DAFF had taken to court all those that had been found fishing illegally in SA waters. A government gazette had been released to look at the fisheries transformation processes. On disagreements with SAMSA, he indicated that DAFF had explained the whereabouts of Africana and all the vessels that were at sea. He said South Africa had to change the way it managed disasters. Dealing with air diseases was difficult because it was not easy to control migratory birds. There had to be space that allowed them to internalise new ways of managing the disasters. Climate change education was very important as it was upon the world. He further indicated, regarding extension officers, that the Department needed to look at the structure of the organisation to see which units could be aligned. The extension officers could do the work better than other people. Finally, he pointed out DAFF had been receiving money for aquaculture projects from the Department of Environmental Affairs (DEA). In the past, the DEA had provided the funds to DAFF and other private companies to do the work on its behalf. The funding was from the global donors for climate change, drought, etc.